Do you want to try out the latest and greatest features released in Office 365 before most others? 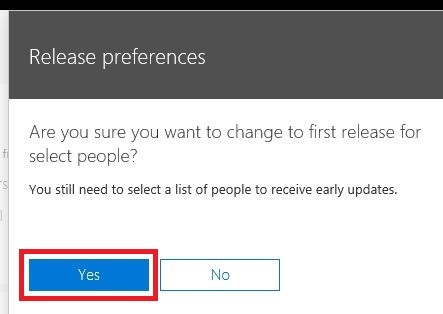 If yes, then enable early release updates within your tenant. Test out the latest features released for public testing, assign these features to everyone or a select pilot group within your 365 tenant. 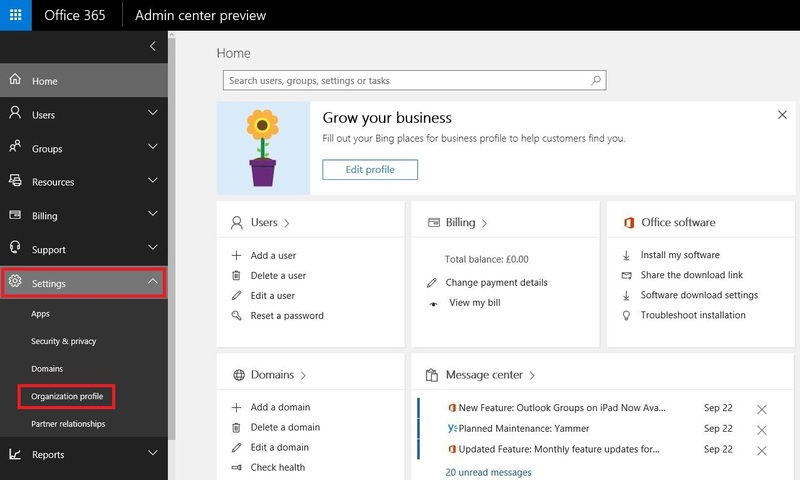 Step 1: Log into the portal as a tenant admin and expand the Settings menu then click on Organization profile. Step 2: Scroll down to Release preferences. Here you will see your tenant set to Standard release which means you will see new features when they are released to the general public for all users. Click on Edit to change these settings. Step 3: Change the Release track to First release for everyone if you want everyone to try new features as soon as they are available. Click Next to continue. 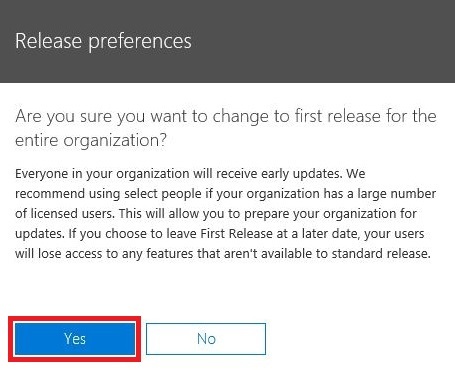 Step 4: Press yes to confirm you want to set your Release preferences to first release for everyone. Step 5: Press Close to finish setting your new preferences. Step 6: Now you will see your release track set to First release for everyone. Now when a new feature is released for testing your users will automatically see the new features or apps as they become available. 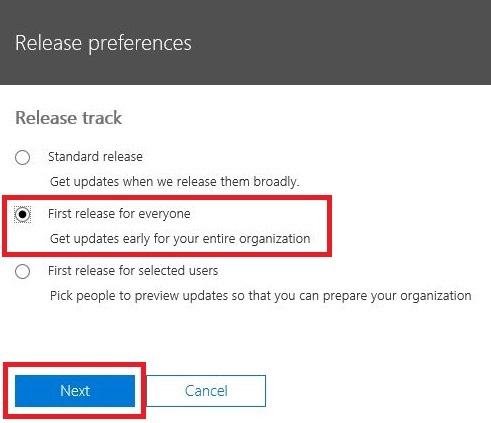 Step 7: If you prefer only a select group of users to try out new features or if you want your admins to learn them before your users get to use them then edit your preferences and select ‘First release for selected users’ and press Next. Step 8: Now confirm your preferences and press Yes to continue to the next stage adding your pilot group users. 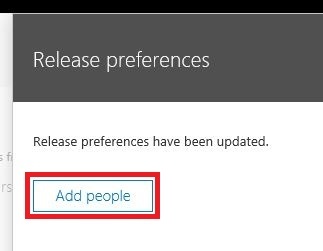 Step 9: Now you can add users who will receive new updates before everyone else. Click Add people. Step 10: Type the name of your pilot users and tick them and press Save to save the users. 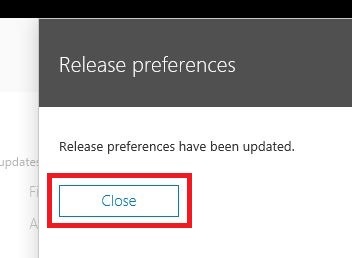 Step 11: Click close to complete your changes. 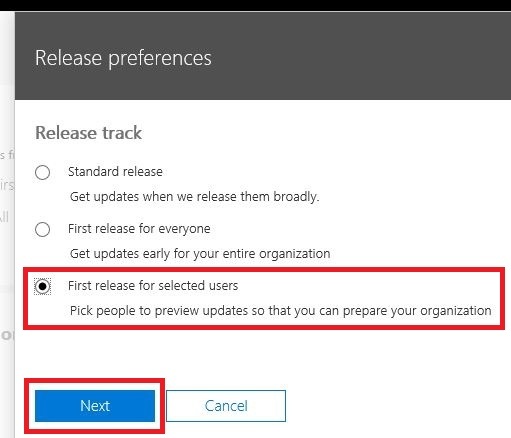 Step 12: Back in the Organization profile you will see your release track set to ‘First release for selected users’. Now those users can test and learn how to use new features before everyone else. Trying out new features early is a great way for management or your IT department to test and learn new features before they are available to everyone. 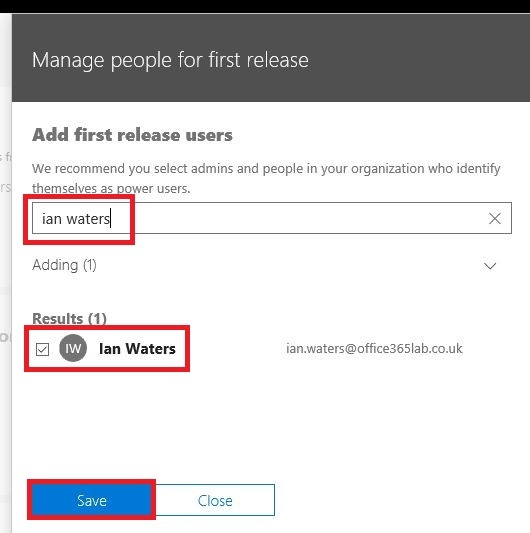 Enable first release for selected users for your administrators and develop some user guides and start user training before the features are available.